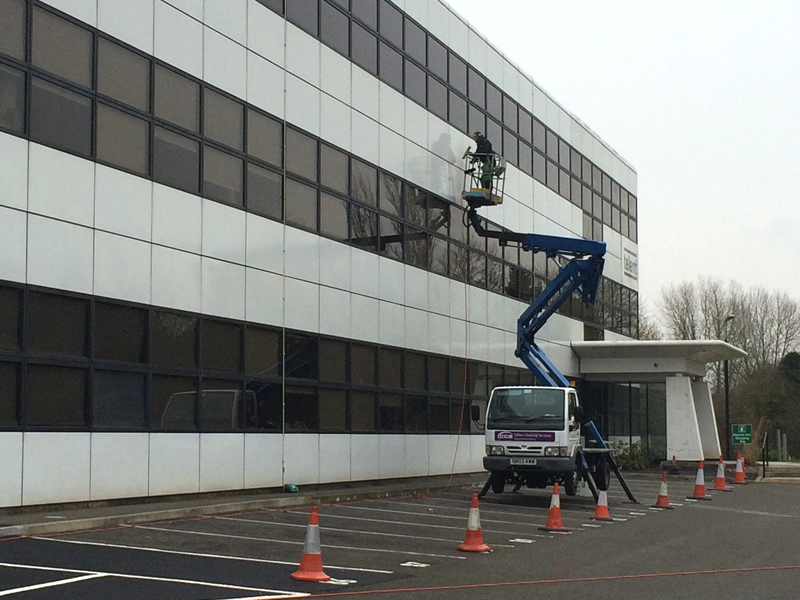 Clifton National Window Cleaning has invested in and owns a 20m (63ft) lorry mounted platform and also uses a number of national hire companies for hydraulic platforms or ‘cherry pickers’. These are either lorry mounted or self-propelled and are used to access heights of 30m or more where the use of ladders would be neither practical or safe for staff and have the added advantage of enabling a range of equipment to be raised to the level of the cleaning work on the platform. The hydraulic platforms are regularly tested and operated only by IPAF (International Powered Access Federation) trained personnel. Our hydraulic platforms require ease of access to the exterior of a building but if this is not available, we have a range of other methods to access the exterior of a building for cleaning and maintenance. Call us now on 01527 835355 so that we can discuss the most appropriate means of cleaning your commercial premises.